As this will likely be the most important transaction you will ever undertake, it is imperative that you understand how we intend to proceed. If you have been working with a realtor, your agent will forward the signed contract to our office for review. We then have three business days to make modifications to the contract wherein we will endeavor to make changes aimed at protecting you as much as possible. Proposed modifications are forwarded to the seller's attorney and we negotiate until we agree upon all terms. When both attorneys are satisfied with the changes, the parties will sign a final document- the review period is over, and the contract is firm. Many people believe that the attorney review period is a firm three days, but that is not exactly correct. Within three days from the delivery of a fully executed contract to both parties, either attorney may "disapprove" of the contract and propose modifications. 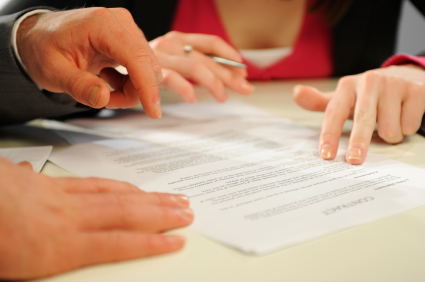 If neither attorney disapproves the contract within three days, the contract is deemed firm. 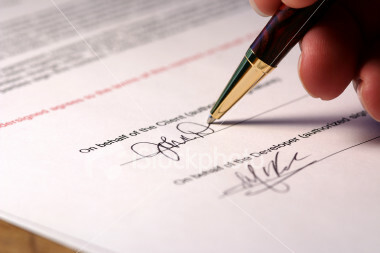 But once either attorney take this step the contract is deemed "in attorney review." The review period will then continue, without a time limit, until both parties agree upon the new terms of the contract. After review, you will receive a letter from our paralegal department, advising you of the various deadlines established by the contract, and you should schedule inspections immediately. 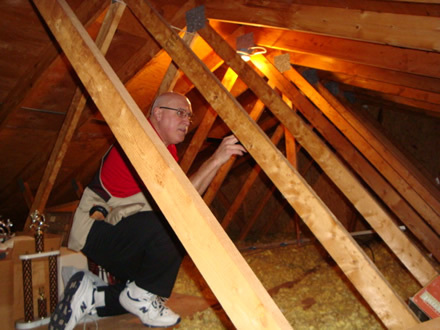 Your home inspection will determine the structural integrity of the the house, as well as the heating, cooling, plumbing and electrical systems. A pest inspection will determine whether there is any infestation and/or damage caused by termites, carpenter bees, carpenter ants or any other insects that damage wood. Finally, you should have a radon inspection. Radon is a naturally occurring gas- it is everywhere. It has been determined, however, that in high concentrations, radon can be dangerous. Your inspector will conduct a special test to determine the levels of radon in the home, to insure that the levels do not exceed recommended limits. When we receive your inspection report, we will discuss the results with you and prepare a demand letter regarding issues that you believe should be addressed by the seller. This can mean that the seller will repair defects prior to closing, or that the seller will compensate you at closing with a negotiated credit. Generally, if the seller refuses to make structural or systems repairs, refuses to remedy a pest infestation and/or damage, or refuses to remedy a high radon concentration, you will have the opportunity to cancel the contract and receive a full refund of all deposit monies paid. 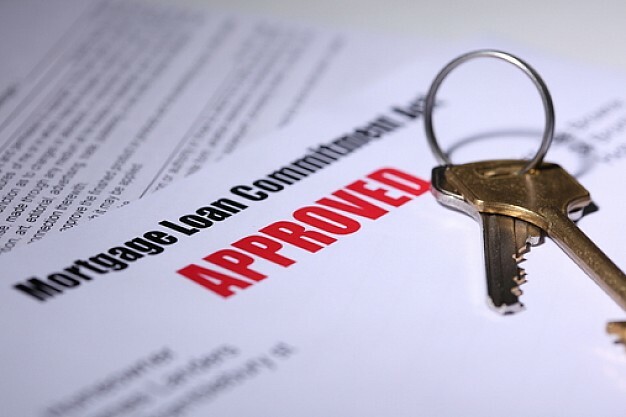 Please note, however, that if you have already applied for a mortgage and paid fees to a lender, the lender will generally not refund those fees simply because your contract has been cancelled. It is important that you review your inspection report carefully. Problems not raised during the inspection phase will not be addressed by your seller. You should be aware that the seller will have no obligation to make repairs, grant a credit or allow you to cancel based upon the age of a particular element. For example, your inspector may tell you that the roof is structurally sound, and the shingles are all in place, but as a roof is only supposed to last twenty years, and this one is thirty years old, this roof is at the end of its useful life. The seller will have no obligation to make repairs, grant a credit or allow you to cancel, as the roof is working as intended. Inspections are intended to determine actual defects- not to guess how long any particular element may last. Once you have resolved all inspection issues, you will likely apply for a mortgage with a lender of your choice. For an idea as to how much you will pay based upon market rates, please try the mortgage calculator to the left. We will gladly explain any of the documentation provided to you by the lender, but the only document we require is your mortgage commitment letter. Please provide that to our office immediately upon receipt, at which time we will order title searches and title insurance. We work with several title insurers, but as title insurance is regulated by the New Jersey Department of Insurance, all title insurers charge the same rates. Title searches check to make sure that there are no liens against the property and no judgments against the sellers. This will insure that you receive the property free and clear of any defects that could cost you money to resolve following closing. Once the property is found to be clear, your title company will issue two insurance policies- one for you and one for your lender. Yours is valid for the entire time that you own your home. 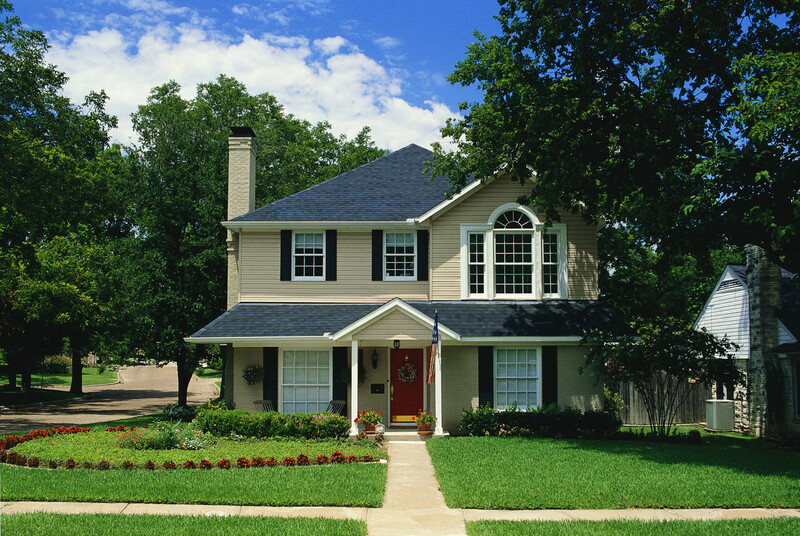 If you refinance in the future, your new lender will require new title searches and insurance. In the event that a lien relating to a prior owner arises following closing, the title insurer will indemnify and defend you with respect to any such claim. A title search requires approximately one week to complete. We can order the search before you receive your mortgage commitment, but if your loan is denied, you may be charged for the search costs. For this reason, we usually wait to order title until after your loan is approved. Title searches cost approximately $250.00, and the insurance premium varies according to the purchase price- you can get an idea of the premium you will pay from the chart on the left. At the same time, we order a survey of the property. This is a drawing of the house and the property lines, which will indicate any encroachments upon the property (i.e., a neighbor's fence built over a property line). Once searches and survey are received, we forward a closing package to your lender for review and schedule closing with the seller. As closing approaches, single family home purchasers will be required to purchaser homeowner's insurance in accordance with the lender's instructions. The policy must be paid in advance for one year, and you should fax a copy of the declaration page and paid receipt to our office seven days prior to closing. If you are purchasing a condominium, the structure will be insured by the condo's master policy. You should, however, purchase an HO-6 or condo policy to insure the interior walls, cabinets and fixtures, as well as your personal property. The most common question we are asked is "how much money do I need?" Unfortunately, lenders usually do not provide closing figures until the day before closing. Therefore, we cannot calculate your costs until that time. We will contact you as early as possible with your costs, and you will be required to get a certified or bank check for the amount that we tell you. Generally, this will be the only check you need, and it should be made payable to "Pickus & Landsberg Attorney Trust Account." Personal checks are not acceptable. 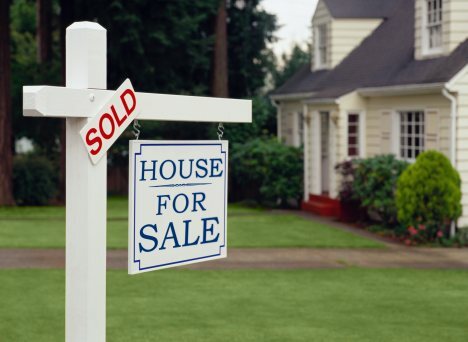 Sometimes people sell a house and then use the funds from the sale to purchase the new home. If we are not handling your sale, you must tell your selling attorney that the proceeds from the sale must be delivered to this firm by bank check or electronic wire transfer. A word about your closing date. The date in the contract is approximate. Because of the many parties and factors involved in the process, the exact date will be confirmed only a week or so prior to the closing. After the closing date in the contract has passed, either party may serve notice making "time the essence of the contract," and stipulate a date for closing at least ten days following service of the notice. If the served party does not appear to close on the prescribed day, then the served party may then be held liable for damages that are incurred afterwards- but not before. The morning of your closing, you will visit your new home with your realtor to do a final walkthrough. At that time, you will make sure that the property has not been damaged during the seller's move, that all agreed repairs have been made, and that all appliances and systems are in working condition. We charge a flat fee of $995.00, payable at closing, for our services. You will also incur recording fees of approximately $350.00, and overnight or courier fees in the amount of $40.00. Three caveats. First, if you choose to take more than one mortgage, (i.e., a first mortgage and a home equity loan) you will incur an additional settlement fee of $300.00, as well as overnight and recording fees for the second closing. Second, in the cases of short sales or other complex transactions requiring an extraordinary amount of time, or if your lender requires our office to draft your closing documents, we reserve the right to increase our fees. Finally, if your transaction is terminated for any reason in the middle of the process, we may charge a cancellation fee, based upon the amount of work completed prior to termination. Of course, this outline is provided for informational purposes only. Each transaction is different, and we will proceed as necessary for each of our clients. These are estimated rates. Only a licensed title agent can quote title insurance rates. These figures represent estimates of insurance premium only, and do not include search costs or endorsements.